American Racing Headers OBBA-64178300HR - American Racing Headers Olds Big Block A-Body 1-7/8in x 3in Header Pair; 1964-1977. Oldsmobile Fans you no longer have to settle for inferior quality for your Small or Big Block Oldsmobiles powered 64-77 Cutlass/442. 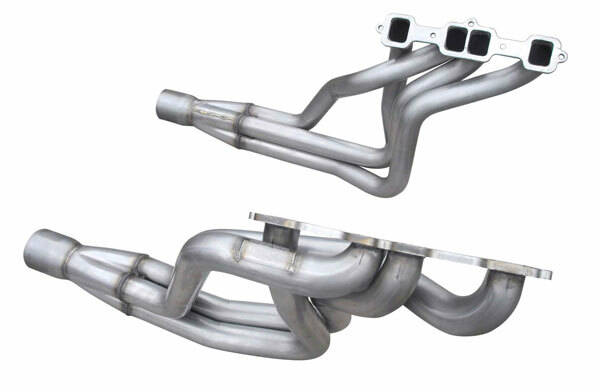 We manufacture the finest 304 S/S long tube headers in popular sizes and with features found only in high end racing headers. These include 3/8 thick flanges with tig welded and hand ported inlets, excellent tube routing for a great fit and merge collectors with scavenger spikes. Built to last indefinitely and backed by excellent customer service. we&apos;ve stepped up to give your pride and joy the finest header system in the industry.